Updated April 2018 — Pinterest added a new follower tab! In May of 2016 I added the MiloTree app to my site to see if it would work to increase Pinterest followers. The results have been impressive, even for my site! Given those results, I wanted to bring on the creator of MiloTree, Jillian Tohber Leslie from Catch My Party. Jillian and her husband, David, began Catch My Party back in 2009, and have turned it into the largest party planning site on the web. In 2013, Jillian and David built a pop-up tool to grow their social media following. It worked so well that they eventually turned it into a separate company called MiloTree, to offer the pop-up tool to bloggers. Jillian and David had wanted to start a company together. Their idea, Catch My Party, was intended to reach the teen girl market and encourage them to share photos of their life events, such as Sweet 16’s, Proms, and Bat Mitzvahs. They encountered a major problem though- they couldn’t get the girls to share any photos! And a photo sharing site with no photos…well that’s not going to be successful. Something unexpected happened next; women who owned Etsy shops that sold party supplies began sharing photos of their parties. And Jillian and David realized that this was the site they had built; not a site for teen girls, but a site for party planners. Don’t keep trying to make something work if it obviously isn’t. Your time is valuable and you need to follow the success instead of continuing with something that isn’t gaining any steam. Jillian needed a way to save the party photos that were being uploaded to their site in order to add them to blog posts she was writing, but David had not had the time to build her a way to do this. Enter Pinterest. Jillian was a very early adopter of Pinterest because it allowed her to do the very thing she was needing- save photos for future use. She wasn’t even thinking at the time about using it to grow their business; it was strictly a way to help her with their party site. It wasn’t long, however, before they noticed that they were getting traffic from Pinterest. And again, by following what was working, they decided to focus on Pinterest. And it is now and has been for quite some time, their number one source of traffic. Catch My Party is the perfect match for Pinterest because they are photo-based. Their very business is beautiful photos, parties, females. And while they didn’t plan it that way from the beginning, by following what worked, they found that they aligned perfectly with Pinterest. Jillian also took full advantage of everything that Pinterest had to offer, so when they unveiled anything new, she was on top of it. She is adamant about converting to a Pinterest Business Account. Why? Analytics – knowing what is working is the only way to keep doing it. If you can’t check your numbers and growth, you will not know what is working. Don’t always rely on your gut instinct; it can be very wrong. Testing – Jillian Pins plenty of their own content, but she also feels it is important to Pin the content of other people as well. Once she sees which Pins do well with their followers, then she has ideas for creating content that is similar or on the same topic. Jillian uses Tailwind for her Pinterest scheduling, and using that, they Pin around 60 Pins per day. Because their site is a user-created-content site, they Pin 60-70% their own content. They try to “be really good Pinterest citizens”, by Pinning ⅔ their own content and ⅓ other people’s. 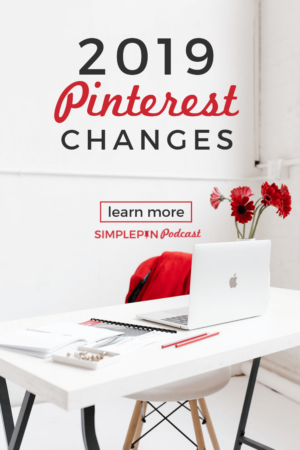 They not only share re-Pins, but they also Pin from outside of Pinterest, in order to bring new content into the Pinterest community. Learn more about how to use Tailwind to boost your Pinterest marketing. Their next business started exactly like the first- with a personal need. They needed a way to grow their Pinterest following, so they had a pop-up built that would allow people to follow them. Soon, they had developed a Facebook type along with one for Instagram. And they were working. Jillian feels very strongly that too many pop-ups are not a good thing for a blog. You can ask your audience for one thing but you can’t ask them for ten things. With the MiloTree pop-up tool, there is built in integration with all of your social media channels. So if a person comes to your site today and gets a pop-up asking them to follow you on Pinterest, then it will be 7 days before they see a pop-up asking them to follow you on Instagram. Jillian and David are very intentional in deciding what they want to grow. They personalize it to your social media accounts, so it is not just a generic pop-up. Your Pins show up, or your Instagram posts. It is a “polite pop-up.” It comes up gently on the right-hand side; it doesn’t pop right in front; it doesn’t “shake in your face”; it is lightning fast. It is simple to install. It is intuitive, so there is no guessing whether or not you did it right. If you are on WordPress, there is a plug-in you can use. For other platforms, there is a snippet of code to put on your blog. MiloTree has made themselves available to their users, and they are happy to walk anyone having trouble with the entire process. At this point, there are almost 1,500 MiloTree users, with no paid advertising. Their entire growth has been due to word of mouth sharing. They have been approached by brands wanting to collaborate. Their latest focus is on building their app out to be able to capture email addresses, and then they will be adding Youtube and SnapChat, along with other features. They are currently working on adding a delay, so that you can decide when you want your pop-up to…well, POP-UP! No MiloTree branding. There is some MiloTree branding on the free version, so it looks a bit more professional on the paid version. Frequency Control. How often will your visitors see your pop-up? You can set it for every 2 days or every 14 days. It is totally in your control. Want to get more followers on Pinterest? Take action! Head over to MiloTree and choose your version. Try it for 2-3 months and see if it works for your site. Update on my follower growth –> April 2018 I have almost 13K followers and I grow by an average of 100 per week whether I’m actively pinning or not. Follow Jillian @ MiloTree and Catch My Party. She makes herself very available to meet the needs of people who contact her, so please don’t hesitate to reach out. She is happy to help! Listen to our episode on the Blogger Genius Podcast here. Want to learn more Pinterest marketing tips? 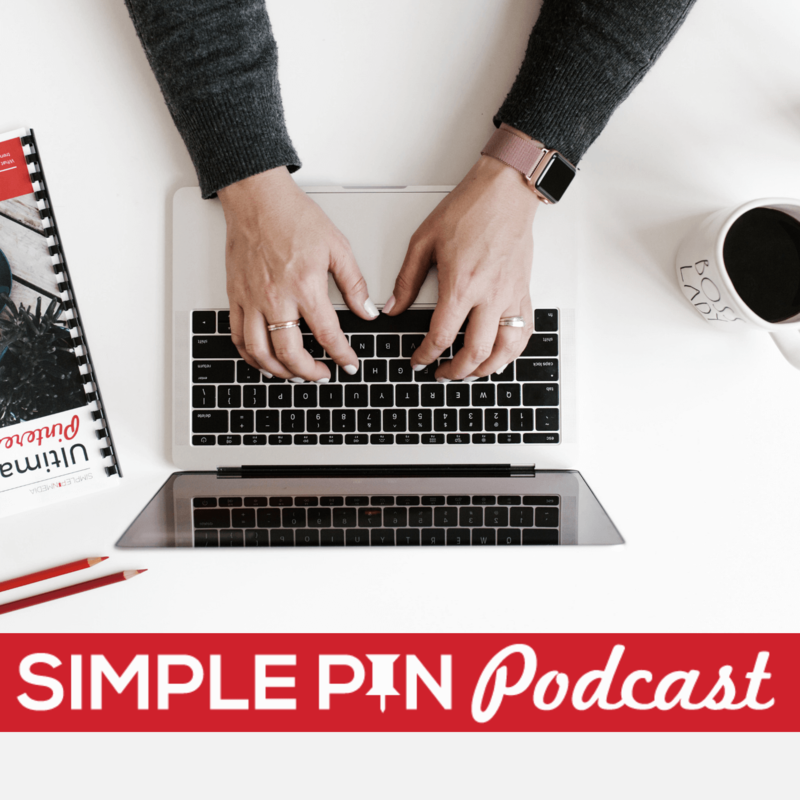 Listen to more episodes from the Simple Pin Podcast. Thanks for this article, Kate. I’ve added Milo Tree to my blog and I’ll see how it goes! I’m trying the MiloTree app, and Jillian provides amazing customer service. I’m not even a paying customer! I had it set on Pinterest for 4 weeks on and then to Instagram for the last 6. I have to say that (for whatever weird reason) it has seemed to make no difference on my Pinterest. But it DOES seem to be doing well on IG! Making a note to switch it back on Monday. Sill testing! Good to hear! I would say that you should adjust the Pinterest down. I have mine set for 3 days so try 7 days for Pinterest and see what happens.